International trade gives individuals and businesses access to a wider variety of goods and services that would not be available otherwise. On one hand, purely economic incentives prompt countries to engage in international trade. Economic theories provide basis for understanding why and how nations gain from international trade and thus have a spur to pursue international economic relationships. In the current context of globalized world economy, the functioning and development of sustainable international economic relationships imply achieving the most efficient economic results and meeting the current necessities without compromising the potential of national economies and business to meet their own needs in the near future. On the other hand, nations have sought to lay the foundations for uniform rules that provide the basis for an orderly development of international trade, so that partners can trade with each other under fair and undistorted competitive conditions. Nowadays, international trade is governed by legal provisions that lay down the “rules of the game”. Nevertheless, today’s realities require a continual work on harmonizing the legal frameworks and trade agendas of individual nations through treaties, conventions, agreements and dispute settlement mechanisms. International trade demonstrates a continuous “appetite” for growth: Larger volumes of imports and exports continue to cross borders, goods and services are bought online and shipped all over the world, businesses representations continue to open in numerous markets, and supply chains are extended to foreign countries offering a greater opportunity to manage costs of production. Elaborating and implementing international trade rules require active cooperation between businesses, governments and international organizations and effective interaction between governments and business. 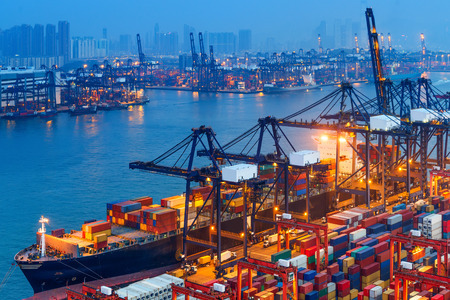 International trade flows can affect the capacity of governments to steer their national economies, as well as the capacity of business to prosper. Successful participation in international trade in today’s world market is achieved through a complex web of economic and legal interdisciplinarity. Economics and law of international trade course reflects this present time reality and provides tips to take advantage of the opportunities offered by this reality. The course is conducted concurrently in English, French, Arabic, Spanish and Russian to suit the preferences of the audience.